The victim was identified as Ari Fuld, a U.S.-born activist who was popular in the local community and an outspoken Israel advocate on social media. 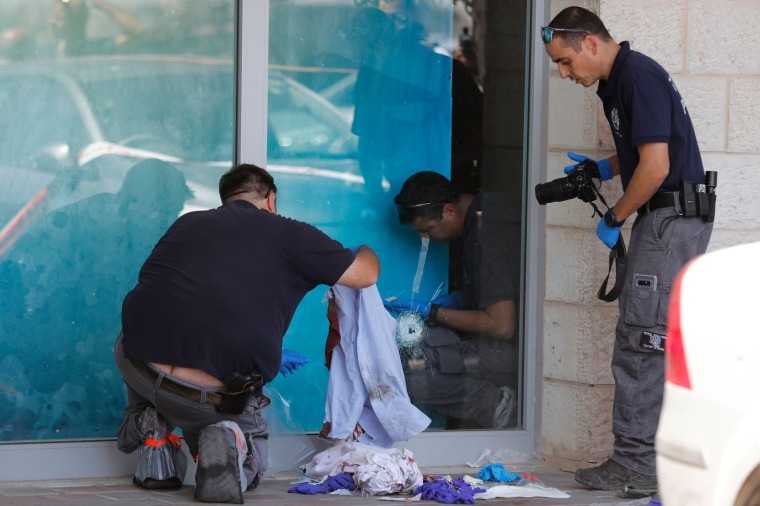 JERUSALEM (AP) — A Palestinian assailant on Sunday fatally stabbed a well-known Israeli settler to death at a busy mall in the West Bank. The military said the attacker arrived at the mall near a major junction in the southern West Bank, close to the Gush Etzion settlement bloc, and stabbed Fuld before fleeing. Video footage showed Fuld giving chase and firing at his assailant before collapsing. Other civilians shot the attacker, whom Israeli media identified as a 17-year-old from a nearby Palestinian village. His condition was unclear.